Interests:scrapbooking, photography, reading, movies, camping, family time. I think Chelsea Catherine goes best with your other kids' names. Interests:Hanging out with my family, friends &amp; boyfriend, Reading, Listening to music, playing the piano, writing, shopping and.... laughing. lol. I like Avalie Catherine the best. 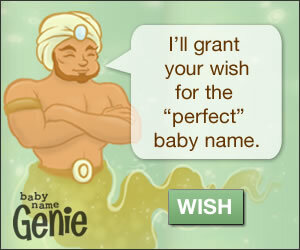 It's a really cute name. lol. Aww, Mason David and Ella Violet are beautiful names! And Hailey Catherine is beautiful! I love Hailey! Though I don't think I could use it because of how popular all the Hailey/Haylee/Haley/Hayleigh/Hailie/Hailee/etc, Bailey, Kailey, etc all are! If popularity is not an issue to you, this is a gorgeous name! Mason, Ella and Ava/Avalie sound nice together, and has to be my favorite! (Though I'd adore Mason, Ella, and Ava ). And Mason, Ella, and Hailey would be my second favorite. Though Mason, Ella and Chelsea certainly do sound gorgeous! Thank you so much for such a wonderful reply! I really do like the name Ava but I have a bunch of friends who recently named their baby girls that and really don't want to use it too. I think Hailey is really pretty but thought the same thing with it being super popular. If I LOVE a name I'm not not going to use it because it's popular (I think Ella has become pretty popular over the last few years but I loved it since before I met my hubby so it was never an option not to use it) but I'd prefer something a little uncommon or unpopular. I like my names to be a little different but not crazy. So I'm still looking .. I've added Analie/Analee/Analeigh, Lianna (DH doesn't like) and Elaina to the list now ... any thoughts?